Wait! Again? I thought… Yep, you're right. 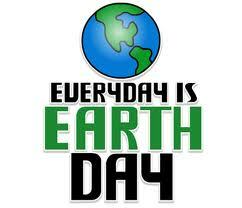 There was an Earth Day on March 20, 2012. And now there's an Earth Day on April 22. So, what gives? Peace activist John McConnell and U.S. Senator Gaylord Nelson separately arrived at the same idea. McConnell's idea was first celebrated in San Francisco and a couple of other cities on March 21, 1970 and Nelson's first Earth Day was held on April 22, 1970 with twenty million people participating. McConnell's Earth Day was recognised by the United Nations in 1971 and has always been an international event. McConnell's choice of March 21 was meant to coincide with the spring equinox, the moment when the sun passes over the equator. At this same moment, the vernal equinox, it is a tradition to ring the Japanese Peace Bell. Nelson's Earth Day remained in the United States for two decades before going international in 1990 with the organization of events in 141 countries. 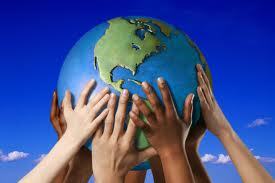 The United Nations designated April 22 as International Mother Earth Day in 2009. Since Nelson's plan for an American only event, his choice was passed solely on a day which did not conflict with school, either exams or spring breaks, did not conflict with religious holidays such as Easter or Passover, and had decent weather being later in the spring. Amusingly enough and unbeknownst to Nelson, his choice turned out to be the 100th anniversary of the birth of Vladimir Lenin. For those looking for a Communist conspiracy including the Daughters of the American Revolution and J. Edgar Hoover himself, this was not a coincidence but a "Communist trick". As the 42nd Anniversary of Earth Day approaches, people are becoming frustrated with the failure of governments to take any steps toward protecting and preserving the environment. The Earth Day 2012 campaign is designed to provide people with the opportunity to unite their voices in a call for a sustainable future and direct them toward quantifiable outcomes, using vehicles such as petitions, the Billion Acts of Green; campaign, and events. Earth Hour is celebrated on the last Saturday of March and this year, it was celebrated on March 28, from 8:30pm to 9:30pm local time. (see my blog: Earth Hour: 60 Minutes to Make a Difference) Earth Week is celebrated from April 16 to April 22, the last day being Earth Day. About.Com presents a number of interesting quotes from people both famous and not so famous that resonate with the idea of "Mother Earth" as a gift we should all cherish. The earth does not belong to man — man belongs to the earth. Of course, can we leave out the more comical look at these issues which although funny, say something about ourselves and our attitude to all this? 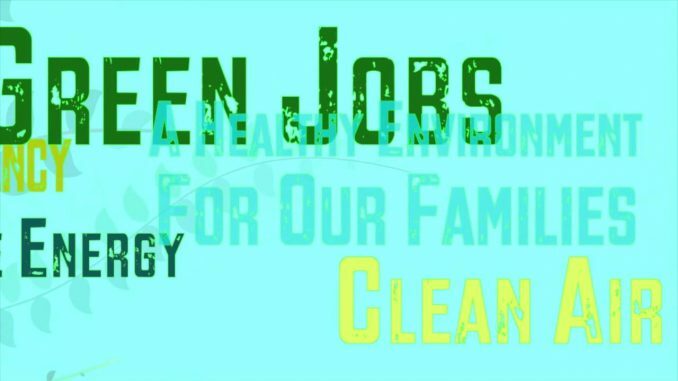 Various web sites list a number of activities to raise our awareness of Earth Day and its message of looking at our environment and trying to do something about it. Instead of driving your car to work, why not take transit? Of course, when I say that I had to think that this is something more people should consider doing every single day, not just on Earth Day. My personal story: The family divested itself of a car and I started taking the subway to work. What did I discover? I didn't have to fight traffic. I then had an hour to read or work on my portable computer. After a few months, I signed up for a course to go back and study some French. And what did I discover? My time going to work and my time coming home from work became my study time. Instead of commuting being a pain, I managed to turn this into a profitable part of my week. Now I would hate to have to go back to driving to and from work. What a waste of time! I try to do this all the time but have come to realise that recycling and what can be recycled is dependent on the services available to individual communities. Personal story: I purchased a great take-out lunch yesterday packaged in a plastic container. However, much to my dismay, I discovered that the plastic was labelled number seven and my office building only recycles plastics number one and two. I had to throw the plastic container in the garbage because it couldn't be recycled. I would have taken it home but found out number seven plastic is not recycled where I live either. Ah!!! Obviously our communities themselves need to do more to make recycling more universal and comprehensive. It's one thing to have people negligent in sorting things for recycling; it's another thing to find out you can't recycle even if you want to. Even if you don't go to a rally per se, there are smaller local events planned. My office building is holding an event to mark the occasion but more than that, all during this week, Earth Week, they are publicizing recycling in an effort to make everyone in the entire building better aware of recycling. Here I go raining on your parade. We as individuals can do our part by planting a tree, buying an energy efficient light bulb, and doing more recycling. However, it is at a national level or an international level where we must lobby our governments to do more as it is at this level, on this scale that enormous change can take place. What does this mean? What's my point? While we're all feeling better for ourselves as human beings having spent the day planting a tree, the collective we as represented by our governments, our business, our society in general is spewing pollutants into the environment at unprecedented rates. My one little tree ain't worth diddly squat compared to a coal-fired electrical power generating station. Yes, my tree is better than a kick in the pants, as my father liked to say, but I must, we all must collectively work through our governments to enact regulations to control what the collective we does. Yes, we need businesses. Yes, businesses must make a profit to stay in business. Heck, that's capitalism and capitalism is a good thing. However I hear over and over again the mantra of Conservatives, the Tea Party in the United States, that big government is bad. Hey, can I really argue with that idea? Who the heck wants a government which is bloated, inefficient and misspending our tax dollars? I'll be the first to vote against that! But, but, but and here is my big but, our government is the collective we and it is how we collectively pull in the same direction. British Petroleum was obliged by the U.S. government to set aside twenty billion dollars for the Gulf oil spill. (Wikipedia) While this amount of money is deemed by analysts as a "drop in the bucket" in relation to what BP earns overall, there is for me quite an amusing side to the entire story. In the United States, financial institutions were able to set up lending practices that emphasized profit over prudence. Loans were being granted to people who would have been otherwise deemed incapable of repaying said loan. Terms were given that now seem to have only fuelled the precariousness of the loan. While many factors come into play to fully explain the complexity of the entire crisis, the rather simple reason is that a whole lot of people failed to pay back their loans, whether it is a mortgage on a house or some other form of debt. The entire system, in the quest for profit, failed to take into account the possibility of debtors being unable to repay their debt. Like a pyramid scheme, the entire house of cards fell over. Greater and greater risks were being taken in search for greater and greater profits. In the two stories above, the Gulf Oil Spill and the Subprime Crisis, a lack of regulation allowed the participants to do… well, pretty much what they wanted. By focusing on profit over prudence, people were "allowed" to proceed with a course of action that under-estimated the risk and over-estimated the reward. While a certain amount of risk would be inherent in anything we do, we must admit that certain levels of risk must be considered imprudent if not just plain stupid. After all, as the old saying goes, "Never bet more than you can afford to lose." An acquaintance, ah, John Doe, was telling me that he didn't want regulations; he wanted less government. He very much wanted to be free. I told John that we can all agree that a speed limit of 60 mph or 100 km is a reasonable restriction on our driving. Such a rule can save lives. John nodded his head and agreed with me. I then added that such a rule does not restrict where we can go; it only tells us how fast we can go. John became thoughtful. John admitted that I made a good point; he had never looked at regulations that way saying that this made sense. Earth Day. Plant a tree. Rah rah sis boom bah. We all do our part, our tiny infinitesimal part. However, my point is that we must collectively keep our eye on the bigger ball. Yes, there are bigger fish to fry. Despite the doomsday rhetoric of the Conservatives, nobody wants bigger government. Despite the blind obedience to the mantra "Less Government", I am certain the Conservatives do not want a repeat of the BP oil spill or the 2008 financial crisis. There is a middle ground. Yes, I am going to recycle. Yes, I am going to use an organics bin. Yes, I am going to turn off my lights when I'm not using them. But I am also going to vote. I am also going to express my opinion and do my part to ensure the collective we is thinking of the greater good and not letting itself be swayed by the narrow minded personal interest of any one group political or business. Earth Day is about the Earth. The Earth is all of us. Let's not just think about today, let's think about tomorrow. After all, tomorrow we won't be here but our children will be. Let's leave them a nice clean green park to play in. The equinoctial Earth Day is celebrated on the March equinox (around March 20) to mark the precise moment of astronomical mid-spring in the Northern Hemisphere, and of astronomical mid-autumn in the Southern Hemisphere. An equinox in astronomy is that moment in time (not a whole day) when the center of the Sun can be observed to be directly "above" the Earth's equator, occurring around March 20 and September 23 each year. In most cultures, the equinoxes and solstices are considered to start or separate the seasons. International Mother Earth Day is celebrated each April 22nd at the United Nations. It was established in 2009 by the General Assembly under Resolution A/RES/63/278. The Resolution was introduced by The Plurinational State of Bolivia and endorsed by over 50 member states. It recognizes that "the Earth and its ecosystems are our home" and that "it is necessary to promote harmony with nature and the Earth." The term Mother Earth is used because it "reflects the interdependence that exists among human beings, other living species and the planet we all inhabit." Gaylord Anton Nelson (June 4, 1916 – July 3, 2005) was an American Democratic politician from Wisconsin. He was the principal founder of Earth Day… Nelson was always passionate about the environment. He is mentioned with Al Gore, Karson Coker, and Steve Erwin. John McConnell (born March 22, 1915), the founder and creator of Earth Day, has demonstrated a major passion for peace, religion, and science throughout his life. He has made efforts to relieve human suffering and promote the common good. His interests include attempting to answer many of the critical problems that face humanity today. Earth Day Canada (EDC) is a national environmental communications organization mandated to improve the state of the environment by empowering Canadians to achieve local solutions.